Me and My Pink Hair! No, I didn’t dye my hair. It’s done with chalk pastels! 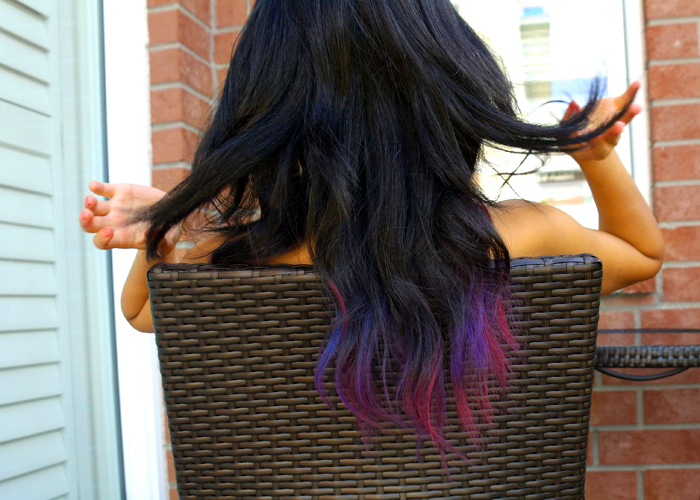 I’m in love with the ombre hair and dip dye trend. Its so pretty! But I’m very hesitant about dying my hair, especially since it’s so dark! I have jet black hair, as black as it can go! And while I love my black hair, sometimes I wish I had blonde hair, it would be so much easier to do semi-permanent dye jobs. 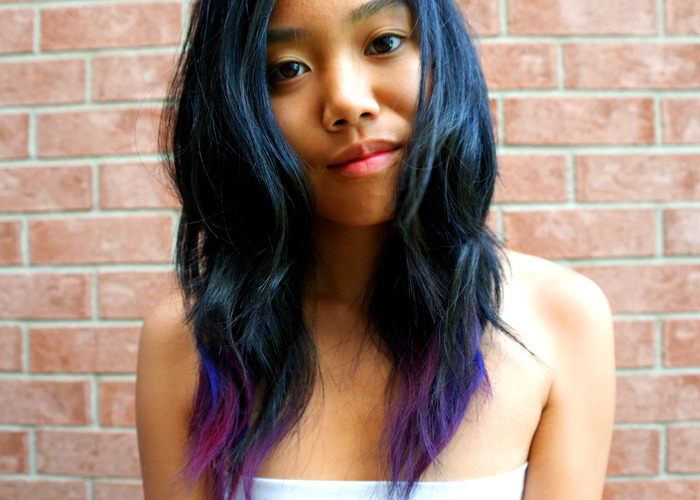 Hair chalking became really popular after Lauren Conrad posted a tutorial of it on her blog site. It’s a great and easy way to add a pop of colour in your hair for a day or two. Most people think it’s not possible to hair chalk dark hair, but it works, and quite well! Hair chalking will last until you wash it out. You can pick up chalk pastels at your local craft store in a variety of colours. I chose pink, purple and blue to create a ombre magenta effect and I LOVE IT! It’s so much fun!!! Perfect for summer and its perfect for a party I have tonight. I can’t wait to try this in a turquoise/blue/green colour palette. Nope! If anything it may rub off a little on your clothes, but no damaged hair!